The government was committed to doing “everything possible to ensure transparency and accountability” but the negativity and pessimism sought to be created over the issue of corruption could do no good, Prime Minister Manmohan Singh said on Wednesday. Addressing the 19th Conference of the Central Bureau of Investigation (CBI) and State Anti-Corruption Bureaux here, the Prime Minister said the anti-corruption law would be amended to fill gaps in the legislation and bring it in line with international practices. “Our government stands firm in its commitment to do everything possible to ensure probity, transparency and accountability in the work of public authorities,” Manmohan Singh said. “Mindless atmosphere of negativity and pessimism that is sought to be created over the issue of corruption can do us no good. It can only damage the nation’s image and hit at the morale of the executive,” he said. The remarks come in the backdrop of the government’s image taking a beating in recent years over corruption charges in 2G spectrum allocation, Commonwealth Games and the allotment of coal blocks. The latest salvo against the Manmohan Singh government came from India Against Corruption member Arvind Kejriwal, who has suggested a quid pro quo in business deals between UPA chairperson Sonia Gandhi’s son-in-law Robert Vadra and realty major DLF. Reiterating the government’s commitment to fighting corruption, the Prime Minister stressed on the need to protect honest public servants and keeping the morale of the executive intact. Even while the corrupt were relentlessly pursued and brought to book, he said, the innocent should not be harassed. 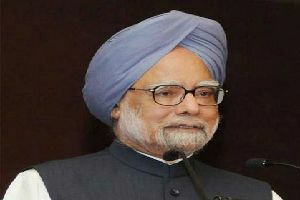 In this regard, Manmohan Singh stressed the importance of distinguishing between bonafide mistakes and colourable exercise of power, while investigating corruption cases. Discussing key anti-graft measures initiated by his government in recent days, he said experience had also shown that big ticket corruption was mostly related to operations by commercial entities. “It is therefore proposed to include corporate failure to prevent bribery as a new offence on the supply side,” he said. The government is also exploring the possibility of providing an effective legal protection to honest public servants, he added. He also noted that the government has put in place an institutional architecture to facilitate a shift to a system in which benefits from the government would get transferred directly to the bank accounts of individual beneficiaries. Referring to the two-decade-old economic reforms, the Prime Minister said it had reduced the “old forms of corrupt practices associated with the controls and the licence-permit raj”. But the faster economic growth and new areas of economic activities have in turn led to newer opportunities for corruption, “ones associated with specialisation and expansion of an economy”. Calling this a big challenge faced by the anti-corruption agencies, Manmohan Singh warned that it would be difficult for the investigators to reach the right conclusions without a firm grasp of the complexities involved in the formulation and implementation of economic policy. “Today, different sectors of our economy follow development models that are increasingly becoming more and more sophisticated… As our economy grows and becomes more integrated with the global economy, the big challenge before the anti-corruption agencies is to keep pace with these developments,” he noted. For this reason alone, he called for the investigation agencies to “continuously upgrade their skills and techniques to match the newer methods of corruption”. He also asked them to take the help of professionals with expertise in special economic activity to conduct impartial probe in complex cases.